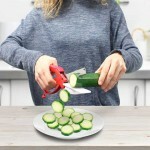 Starlyf Scissor Knife, the incredible new kitchen tool that’s a knife and a chopping board, all in one, so you get everything done in a fraction of the time, with no mess and no cleanup. 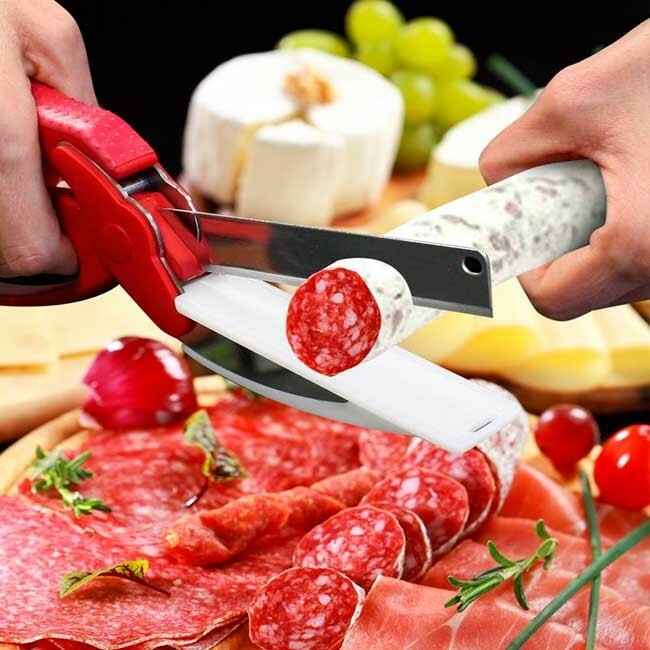 Just give it a squeeze, and you’re slicing with ease. 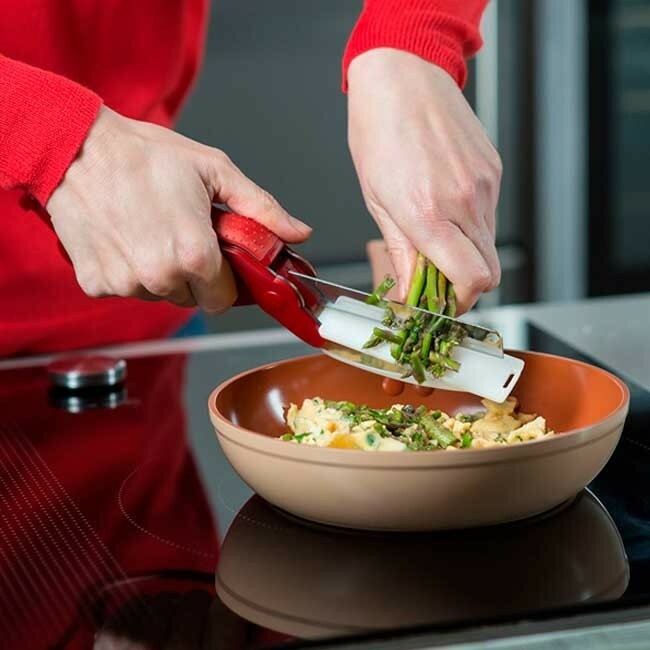 The automatic reflex action of the spring-loaded handles do all the work for you, making chef-quality precision cuts faster and easier than you ever could with a knife. With commercial kitchen-quality construction and easy sure-grip handles, Starlyf puts the power and expertise of a professional chef right in the palm of your hand. 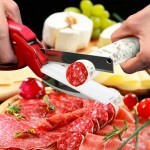 Its long cutting surface allows you to slice big pieces of cold meats, or this steak, for a delicious lunch. Season your favorite dishes with fresh vegetables, for that special touch. 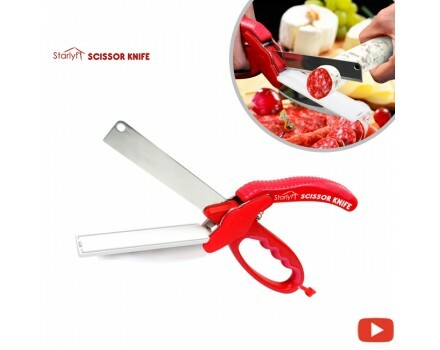 Ordinary knives slip easily, putting your hands in danger every time you use them. 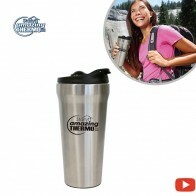 It has an ergonomic handle for a perfect grip, so your hands are always safe from accidents. The blade of Scissors Knife offers incredible cutting power, and the automatic opening system allows you to cut any food this quick. It’s so sharp, it can easily cut this. 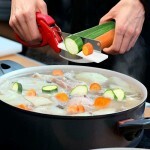 Forget about making a mess to make vegetable soup! 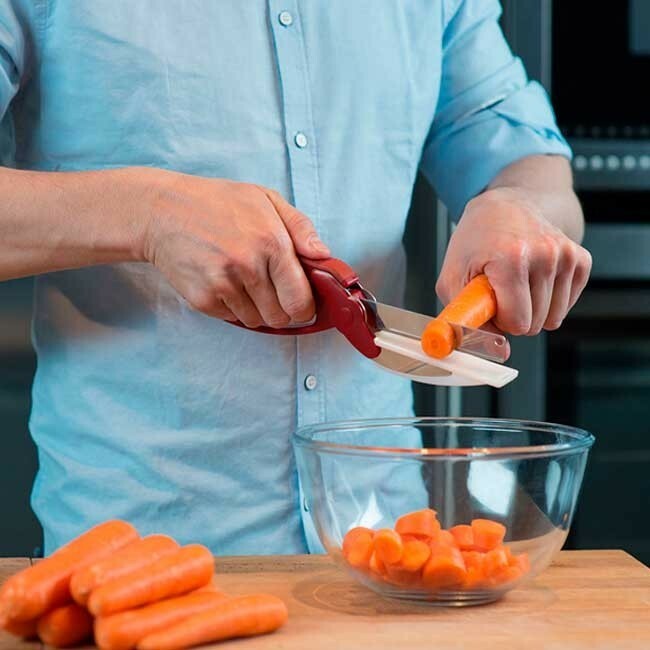 Stay tuned to find out how you can get this incredible vegetable chopper absolutely free with your Starlyf Scissor Knife when you order. Chop pearl onions lightning-fast with no tears. Dice several cloves of garlic at the same time with no knife needed. Chop nuts for desserts and mixed vegetables for fast and easy salads. Dice mushrooms perfectly fine, to add to your favorite recipes. 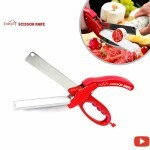 It’s sturdy and durable enough to chop a whole raw potato, and you can even make a healthy fruit salad in a flash. 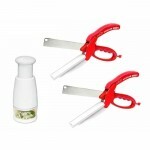 Use the chopper to dice or chop anything you need into fine pieces in seconds. It’s the perfect complement to use with your Scissor Knife to make quick and easy meals, and an essential tool in your kitchen. 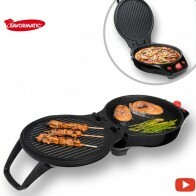 Air-O-Crisp is an incredible air-frying oven rack that gets rid of the grease and cooks in the crunch. It works great in your oven and cooks food to perfection every time. I is a healthy way to make the most incredibly crunchy and delicious food with ease. 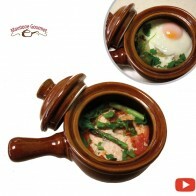 MaxStone Gourmet is the sensational ceramic crock-pot that cooks delicious gourmet meals in your microwave! Cooking a good meal can take hours in the kitchen. And fast food is unhealthy. 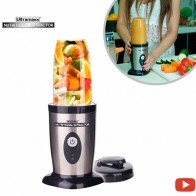 But MaxStone Gourmet prepares gourmet meals in less than 5 minutes!